The problem in understanding the prophecies of Matthew 24 is that readers take words and predictions (signs) out of a first century book and apply the words and signs yet future’ to their own generation. This article explains the historical background to the prophecies of Jesus by an eye witness to their fulfillment, Josephus, the Sanhedrin-appointed governor of Galilee, and the main source of our knowledge of the time. The three conditions of any reasonable explanation are, firstly, it be suggested by the facts it is trying to explain: that is it saves the appearances of the facts, or in other words the explanation arises from our observation of the facts. Most simply, a satisfactory explanation is one that is always accountable to the facts by observation. Secondly, from this starting point of being suggested by facts, a satisfactory theory will then go on to explain more and more facts; it answers more and more facts and gives new meaning to old facts and places them in new combinations. At the same time a good theory will explain the causes between these connections with facts, facts that may be observed. Thirdly a good theory will predict new combinations of facts that have not been seen before. This can be challenging for some with a bias against novelty, but by their nature, every new truth is novel. A good theory will predict what is formerly unknown, but what must logically extend from the facts, just as an unseen pine tree root is predictable from pine tree leaves on a pine tree trunk. The aims of this article are twofold; (i) to explain how a good theory works, and (ii) to explain the facts of Matthew 24 themselves. This article argues that Preterism is a preferable explanation because it does three things; it is suggested by biblical and historical facts, answers more facts, and predicts new relations between the facts of prophecy and history. These facts suggest that Jesus is speaking to His own generation about a state of affairs occurring in their own lifetime, as indeed history demonstrates. His words herald the inevitable and terrible end to the nation prophesied by John Baptist at the start of His ministry when John said; ‘the axe is laid on the root’, the imminent fulfillment of what was foretold 1,000 years before saying; ‘I will cut off Israel of the land which I have given them; and this house which I have hallowed for my name will I cast out of my sight.’ (I Kgs 9:7) These prophecies also correspond to the historical events which shortly came to pass in Jesus’ generation in 70 AD. 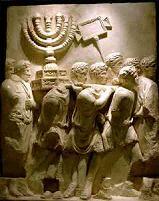 Just forty years after Jesus uttered the words of Matthew 24, on the 15th of Nisan 70AD, the national Jewish temple was surrounded by the Roman armies of Titus and sacked. (Exactly the same date in the same month as the first temple burned down in BC 586.) It was then plundered, dismantled stone by stone, its walls leveled with the ground, the land ploughed up and salted so that nothing would ever grow, and finally sold along with all Judea. The human cost was appalling. At the time of the Passover there were approximately 3,000,000 people trapped in the holy city. Of these approximately 1,100,000 died terrible deaths from famine and injury, and 97,000 were taken captive and sold to work in Egyptian mines, or eaten by wild beasts in games at Roman theatres. The decimation of the nation was cataclysmic, total, and definitive, the subject of a detailed prophecy fulfilled as recorded by eyewitness and historian Flavius Josephus in his work, Wars of the Jews. Following is a correlation of the tragic history with the tragic prophecy of Matthew 23 and 24. Mtt 24 2. Jerusalem temple was to be destroyed stone by stone. v7. Nation against nation, kingdom against Kingdom…end not yet. ..I am going to relate a matter of fact the like to which no history relates, either among the Greeks or barbarians! It is horrible to speak of and incredible when heard…but that I have innumerable witnesses to it in my own age. ..a certain Mary, her father was Eleazar.. She was eminent for her family and her wealth, and had fled away to Jerusalem. [When it became impossible for her anyway to find more food, while the famine pierced through her very bowels…she then attempted a most unnatural thing; and snatching up her son, who was a child sucking at her breast she said; “O thou miserable infant! For whom shall I preserve thee in this war, this famine, this sedition? Come on: be thou my food…and a byword to the world..” As soon as she said this she slew her son, and roasted him, and ate one half of him, and kept the other half concealed. Wars 6:3:199ff. And here, a certain old man - the father of seven children, whose children, together with their mother decided to give them leave to go out [to Herod] – slew them after the following manner: he ordered them to go out while he himself stood at the cave’s mouth, and slew that son of his perpetually who went out. Herod was near enough to see this sight, and his bowels of compassion were moved at it… yet did he not relent at all…but reproached Herod for his lowness of descent and slew his wife as well as his children, and when he had thrown their dead bodies down the precipice, he at last threw himself down after them. Wars 1:17:312 ff. v15. Abomination of desolation in holy place. ..but the entire nation was now shut up by fate as in a prison, and the Roman army compassed the city when it was crowded with inhabitant. Accordingly the multitude of those that therein perished exceeded all the destructions that either men or God ever brought upon the world… Wars 6:9:428ff. v26. Behold he is in the desert. Go not forth. v28. Wheresoever the carcass is, there will the eagles be gathered. Fires across the whole country blotted out the moon at night and tinted the sun red by day. v29. Powers of heaven shaken. The book of Revelation is an embarrassment to the yet future view, for in 2000 years of critical study it has not only not been understood uniformly, its context has not even been determined, the consensus of scholars believing it was written in 96 AD from external reasoning. But what happens if you look into the book itself? What is the internal evidence for the context of Revelation? The conclusion must be that it was written before the holy city Jerusalem was destroyed. This is consistent with a first century explanation of Matthew 24. Does the idea of Jerusalem predict new relations in Revelation? The Harlot of Revelation matches the Holy City Jerusalem. A past explanation argues from the internal evidence of Revelation it was written: that Jerusalem is the biblical holy city (Neh. 11:1, 11:18, Is 48:2, 52:1, Dan 9:24, Matt 4:5, 27:53) the same city where their Lord was crucified (Rev 11:8) also likened to immoral Sodom and Gomorrah by Isaiah (Is 1:10) the same holy city in which the bridegroom’s voice [Jesus’ voice] was heard (Rev 18:23) and the harlot city wherein was all the blood of the prophets. (Rev18:24, 19:1-2, Matt 23:36) while the Mosaic temple was still standing, (Rev 11:1-2) A past view also suggests a natural correspondence between the two systems, earthly city Mosaic Jerusalem and heavenly city spiritual Jerusalem. This natural correspondence of systems is mirrored in the facts of Gal 4:21-31) again a correspondence between two women, one represented by Hagar (Jerusalem) and the other by Sarah, (New Jerusalem) and also by mountains, Mt Sinai, (Jerusalem) and the other by Mt Zion, (New Jerusalem) system representing law, (Mosaic Jerusalem) the other grace. (New Jerusalem). The first century (Preterist) explanation proposes that Jerusalem is suggested by the facts of Revelation. What happens when a past hypothesis (the context of the destruction of Jerusalem in 70 AD) is overlaid on Revelation? The result is that we find a near correspondence between biblical prophecy and historical description. Ie. A first century history matches the affairs of Revelation. A sample Preterist synthesis of prophecy and history informs us that Vespasian’s Roman army under his son Titus surrounded a Jerusalem besieged by civil war, and a holy temple occupied by: a generation of villains so mad, that had the Romans made a longer delay the city would have been swallowed up by the earth, or destroyed as Sodom… (Is 1:10 Jerusalem Wars 5:13:566) a national event described by this eyewitness as the greatest [national] misery since its’ foundation, (Mtt 24:21 Jerusalem Wars 6:8:408) in which the number of those which perished [over 1,100,000] exceeded all the destructions ..ever brought on the world (Jerusalem Wars 6:9:429), a time when false prophets abounded, (Mtt 24:24 Jerusalem Wars 6:5:285) “the daily sacrifice” failed (Dan 9:27 Jerusalem Wars 6:2:94) when famine and pestilence affected the estimated 3,000,000 people in the city, (Rev 18:8 Jerusalem Wars 5:12) a famine so bad people searched the sewers for dung, (Rev 18:8 Jerusalem Wars 5:13:571) and one mother ate her own child for food (Wars 6:3:207 ) when a measure of wheat was sold for a talent of money (Rev 6:6 Jerusalem Wars 5:13:571) when men sought by death [by sword over death by starvation], but found it not, (Rev 9:6 Jerusalem Wars 5:12:517) a context when fire and blood mingled together, the blood in the lanes in such quantities that the whole city ran with blood, to such a degree indeed that the fire of many of the houses was quenched with these men’s blood (Rev 8:7 Jerusalem Wars 6:8:406ff) earthquakes (Rev 6:12 Jerusalem Wars 1:19:370 ) and signs in the heavens: (Rev 8:12 Jerusalem Antiquities 17:6:167 Eclipse, comet) a time when the sounds of trumpets (Rev 8:13 Jerusalem Wars 6:1:68) and the noise of horses (Rev 9:16 Jerusalem Wars 3:2:33) were sounds to inspire dread and torment, (Rev 9:16 Jerusalem Wars 5:1:35) when the great plain in front of Jerusalem (Wars 5:2:67, 5:3:106ff) was leveled even wider by the four legions of the Roman army as numerous as locusts (Rev 9:3,7 Jerusalem Wars 4:9:536) to make a greater plain for battle. In 70 AD the entire city was shut up, the entire population of the nation captured, Josephus tells us, in a kind of net. (Matt 13:47 Jerusalem Wars 6:1:160) Our historian also tells us the time from the coming of the Roman Emperor Vespasian (in 66 AD) until the time the daily sacrifices failed to be offered in the temple was three and a half years, or forty two months, or times, times and half a time. (Rev 12:14, 13:5, Dan 9:27 Jerusalem Wars 6:2:94). This is complimentary correspondence between prophetic fate and actual fulfillment that doesn’t need an hypothesis of 2000 years. A first century history matches many details of Revelation. In Revelation 22 we have the prophetic destruction of a holy city in 42 months ‘soon to take place, shortly, quickly, soon’ to Jesus’ own generation. In historical Josephus we have the destruction of the holy city Jerusalem in 42 months in Jesus’ own generation. Who will then dismiss the natural context of the first century, and this detailed correspondence as merely an accidental and not actual fulfillment? The futurist may pooh-pooh and dismiss a first century explanation with a wave of the hand, but this is too simple; (i) they have no better detailed explanation to offer, and (ii) must dismiss what is beyond coincidence as pure chance. This is unconvincing reasoning. This is only a sample-Preterist explanation of the state of affairs existing in Jerusalem, Judea and all over the known world in the first century, yet it shows a near correspondence between biblical prophecy and history. Much more evidence may be produced to demonstrate the equivalence between Jerusalem and Revelation’s harlot city which crucified its Lord, (Rev 11:8) but here we are only concerned with making the link back to the first century, and demonstrating how a past viewpoint is suggested by biblical facts, answers more facts, and predicts new relations between facts. The power of any explanation is its ability to save the appearances of the facts, and develop intricate linkages between those facts. This is called explanatory power, and is one of the key measures of a good explanation. A first century view has superior explanatory because it is always accountable to the first century as the natural context of a first century document, an aspect that saves the appearances of the biblical facts. A first century view is the simplest explanation consistent with observation. Contrary-wise a yet future to us view turns its’ back to the past and peers into the future to connect the ideas of a first century book, but explains nothing except conjecture. The rule is when our theories do not fit our observations, theories must be changed. (Beck,S p82. The Simplicity of Science). The goal here is to seize factual solutions that answer the facts we observe, while deferring our judgment on remaining problems.